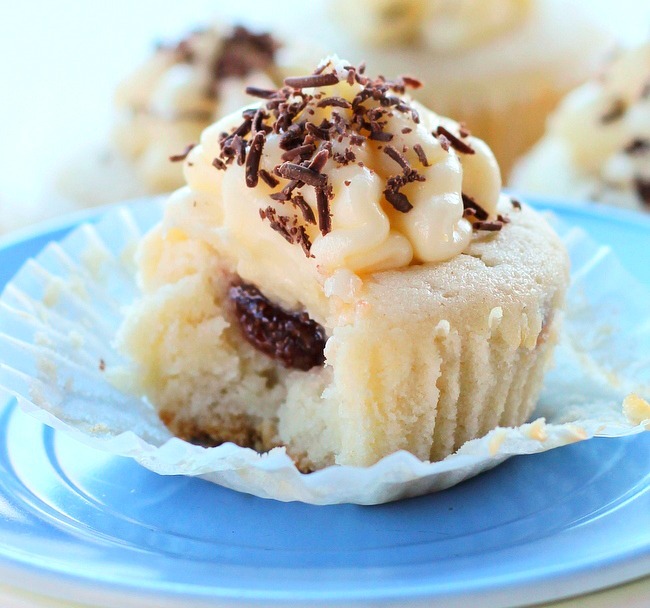 Strawberry Jam Cupcakes are tender cupcakes filled with strawberry jam, topped with a cream cheese frosting and grated chocolate. 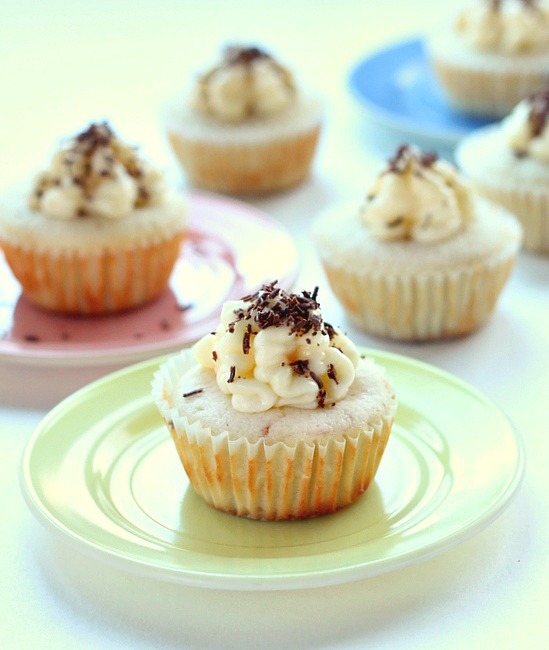 The recipe makes six to seven cupcakes that are perfect for anyone wanting to bake homemade for Valentines Day without making a whole cake or 24 cupcakes. 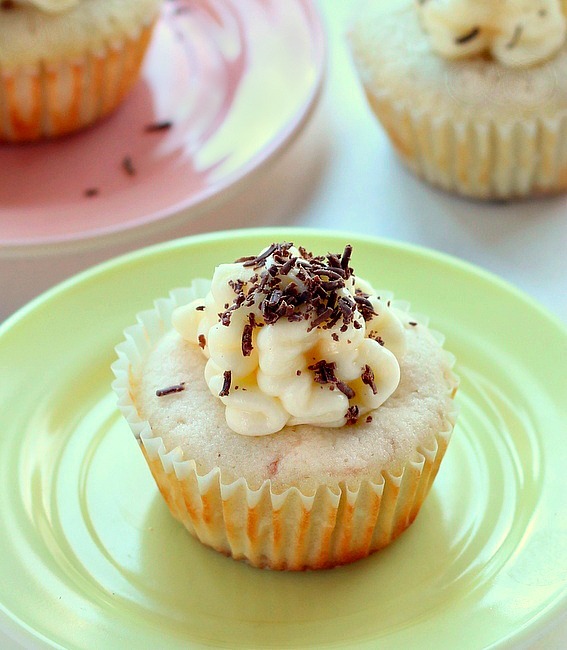 With just two people in our house, this recipe for 6 or 7 cupcakes is PERFECT! Make them anytime of the year, switch out the jam to your flavor preference, homemade goodness from our house to yours. Enjoy! 1. In a large bowl ,beat the egg whites until you have stiff peaks, set aside in the refrigerator. 2. In a small bowl mix the flour, baking powder and salt. Stir to combine. Set aside. 3. Place the sugar and butter in a large bowl, beat until light and fluffy, add the vanilla. Beat until incorporated. 4. With your mixer on low speed add half the flour mixture to the butter/sugar mixture, beating till just incorporated. Add the sour cream to the bowl, beating till just incorporated. Add the remaining flour to the bowl, beating til just incorporated. 5. Gently fold in 1/3 of the beaten egg whites into the batter until just combined. Gently fold in the remaining egg whites. 6. Place 1 teaspoon of crushed graham cracker crumbs in the bottom of each cupcake liner. Top the crumbs with 1/1’2 to 2 Tablespoons of cake batter. Place 1 heaping teaspoon of strawberry jam in the center of the batter. Top with 1 Tablespoon cake batter. Bake at 350 degrees for 20 – 22 minutes. Remove from the oven onto wire rack to cool completely. Frost with cream cheese frosting. Your cupcakes look yummy! Thank you for sharing with Delicious Dishes Recipe Party! Hope to see you again this week!